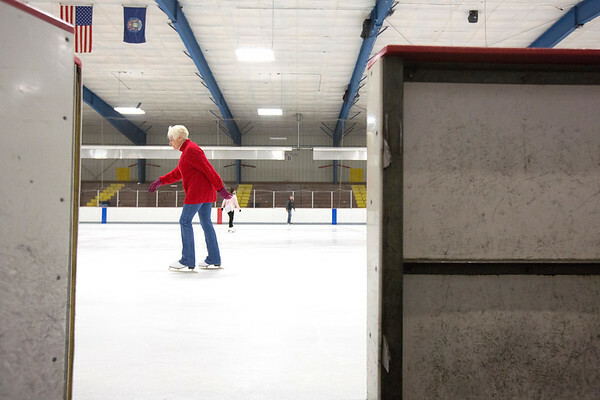 Clare Shipstead skates around Howe Arena in Traverse City during the Open Skate on Wednesday. Shipstead used to skate regularly when she was young. "I was shocked at how bad I had gotten so I just kept coming back," she said. She tries to skate every Wednesday.